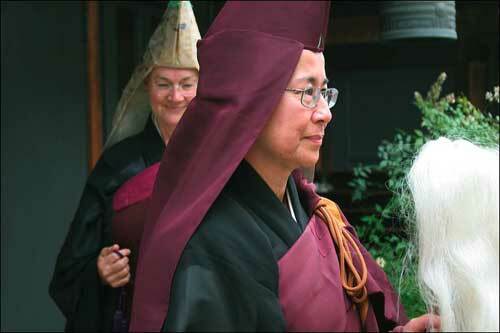 This conversation with Roshi Egyoku took place during my six weeks (Jan-Feb 2007) as an artist in residence at the Zen center of Los Angeles. 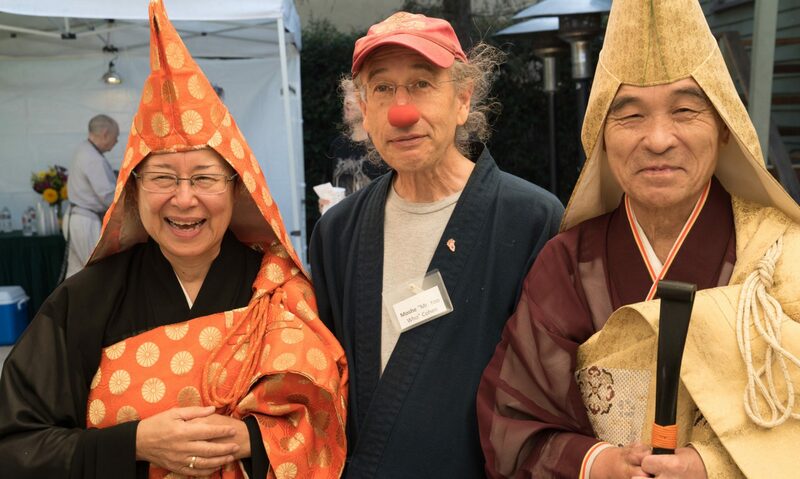 A few times a week, we would sit down for a half hour chat to examine the relationship of Clowning and Zen. In the clown world there is a strong reliance on one’s intuition or what you might call Inner Wisdom. E: It is our knowing. We talk about not-knowing and there is also the knowing that comes out of that place. M: that might be our accumulation of wisdom from past lives? E: Who knows what that is. It is like a profound wisdom that is who we are, and I think the clown accesses that a lot. It allows us to respond appropriately to any given circumstance. Because that is what you are doing. Your bag of tricks, that may or may no be you, it just depends on what is coming out of the situation. Something guided you, that is beyond all the studies, and learning and training that you have done. I mean that is how I always function here, I go by my gut, it’s the gut thing. E: Yes, I just sit back, something comes up and that is where I am going, and I go with total confidence. Someone may ask how can you be so confident? But I know, that is the way, my whole body is telling me that that is the way, that is what you need to do. Sometimes I surprise myself, because I find myself yelling at people. I used to see Maesumi Roshi do that, I’m not doing it because he did it. It would just come out of me, and then I would step back and ask myself where did that come from. I realized, and trusted it, that there is a wisdom coming out rather than telling myself to cut that out…laughter…. I think you do that. M: yelling?? No, but on stage I have to trust my intuition, or I am likely to step out of my clown world.